I thought that I would start a new concept on my blog, where I will do a run through of my week. And make it a weekly thing. So this week has been pretty hectic for me. It started with updating my website, and boy was there a lot to do. First I updated the "Meet the Crew" section as I had gotten more bios and photos from some of the crew members. 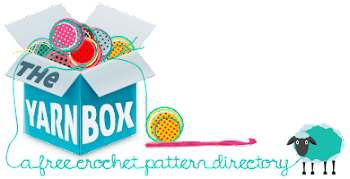 Then I updated my crochet section of the site with 2 of the 5 new patterns I have just finished designing. Then I added a new section for my Art Geeks lessons and other art journal stuff. Then I decided I should finalize the new patterns and get them ready to be filmed and published :) That took some time, because, just as I had finished editing one of them my word processor decided to crash and I had to re type the whole thing again :(. But I eventually finished the patterns and added photos. Next I started the filming. Took me 2 full days but I got 4 of the 5 new patterns filmed. Then all I had to do was a simple edit and I should have been done....WRONG!!! I spent hours waiting for my video editing software to render the videos....then it would only save half of them. I spent a full day trying to figure out what was going on. I finally got them edited at about 5am in the morning and thought FINALLY!! I was so glad that all the tutorials had been saved. I then began to upload one of the videos. And publish the pattern for it. I sometimes wonder if YouTube is slow on purpose...just to frustrate us. LOL. I was then asked by Christy from GulfSpr1te on YouTube to become an instructor for Art Geeks, which I excitedly accepted :) I myself being new to art journaling myself thought it would be wonderful to share my views on new techniques and products from a beginners level. I know for me when I started out everything was terribly intimidating and I had no idea where to start. I decided I would do my first lesson on something simple and easy. Paper Towel collaging. Using up paper towels you have cleaning up sprays with and have all that wonderful color on them instead of throwing them away. It seems everyone who watched the video enjoyed it and found new ideas for their art journals. I have new ideas lined up for my Art Geeks lessons and I am excited to get them into play. Now that I have crochet stuff caught up with and a little ahead, I can get ahead with some arty fun as well. So here I sit, 8:48am on Thursday morning. I tried to go to sleep around 1:30am, with not much success. One of my cats Maxx decided it would be fun to have a little fight with the other boy in the house, Sammy, and I had to break them up. Which in turn disturbed my littlest girl Skitsy who was peacefully sleeping in her spot, using my hand as a pillow. I went back to bed and she decided she had to sleep on my chest. Which never ends well for me, as I can not sleep on my back. Finally she decided she would go back to her spot, but not without using my hand as a pillow. I finally fell asleep for about two hours when the hubby rolled over and landed on my bad arm...sending a shock wave of pain through me. I saw it was 5am and decided I might as well get up as Mat has to be at work for 6am and it was -22 outside and I didn't want him to walk in the cold. I think I have done enough rambling for now. I didn't think I had that much to say lol. Apparently I did. I hope you enjoy my rambling. Stay Up To Date with Email Notifications! !